London, March 6, 2018 – Ancient microbes may have been producing oxygen through photosynthesis a billion years earlier than we thought, which means oxygen was available for living organisms very close to the origin of life on earth. In a new article in Heliyon, a researcher from Imperial College London studied the molecular machines responsible for photosynthesis and found the process may have evolved as long as 3.6 billion years ago. The author of the study, Dr. Tanai Cardona, says the research can help to solve the controversy around when organisms started producing oxygen – something that was vital to the evolution of life on earth. 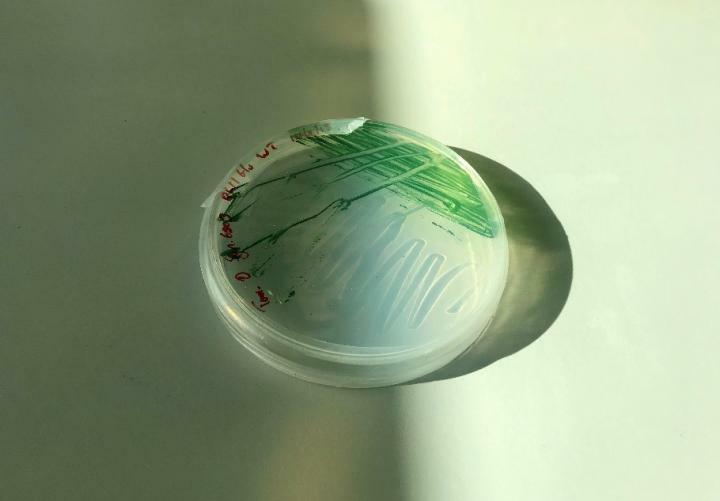 It also suggests that the microorganisms we previously believed to be the first to produce oxygen – cyanobacteria – evolved later, and that simpler bacteria produced oxygen first. "My results mean that the process that sustains almost all life on earth today may have been doing so for a lot longer than we think," said Dr. Cardona. "It may have been that the early availability of oxygen was what allowed microbes to diversify and dominate the world for billions of years. What allowed microbes to escape the cradle where life arose and conquer every corner of this world, more than 3 billion years ago." Photosynthesis is the process that sustains complex life on earth – all of the oxygen on our planet comes from photosynthesis. There are two types of photosynthesis: oxygenic and anoxygenic. Oxygenic photosynthesis uses light energy to split water molecules, releasing oxygen, electrons and protons. Anoxygenic photosynthesis use compounds like hydrogen sulfide or minerals like iron or arsenic instead of water, and it does not produce oxygen. Previously, scientists believed that anoxygenic evolved long before oxygenic photosynthesis, and that the earth's atmosphere contained no oxygen until about 2.4 to 3 billion years ago. However, the new study suggests that the origin of oxygenic photosynthesis may have been as much as a billion years earlier, which means complex life would have been able to evolve earlier too. Dr. Cardona wanted to find out when oxygenic photosynthesis originated. Instead of trying to detect oxygen in ancient rocks, which is what had been done previously, he looked deep inside the molecular machines that carry out photosynthesis – these are complex enzymes called photosystems. Oxygenic and anoxygenic photosynthesis both use an enzyme called Photosystem I. The core of the enzyme looks different in the two types of photosynthesis, and by studying how long ago the genes evolved to be different, Dr. Cardona could work out when oxidative photosynthesis first occurred. He found that the differences in the genes may have occurred more than 3.4 billion years ago – long before oxygen was thought to have first been produced on earth. This is also long before cyanobacteria – microbes that were thought to be the first organisms to produce oxygen – existed. This means there must have been predecessors, such as early bacteria, that have since evolved to carry out anoxygenic photosynthesis instead. "This is the first time that anyone has tried to time the evolution of the photosystems," said Dr. Cardona. "The result hints towards the possibility that oxygenic photosynthesis, the process that have produced all oxygen on earth, actually started at a very early stage in the evolutionary history of life – it helps solve one of the big controversies in biology today." One surprising finding was that the evolution of the photosystem was not linear. Photosystems are known to evolve very slowly – they have done so since cyanobacteria appeared at least 2.4 billion years ago. But when Dr. Cardona used that slow rate of evolution to calculate the origin of photosynthesis, he came up with a date that was older than the earth itself. This means the photosystem must have evolved much faster at the beginning – something recent research suggests was due to the planet being hotter. "There is still a lot we don't know about why life is the way it is and how most biological process originated," said Dr. Cardona. "Sometimes our best educated guesses don't even come close to representing what really happened so long ago." The article is "Early Archean origin of heterodimeric Photosystem I" by Tanai Cardona (DOI: 10.1016/j.heliyon.2018.e00548). The article appears in Heliyon (March 2018), published by Elsevier. Heliyon is an open access journal from Elsevier that publishes robust research across all disciplines. The journal's team of experts ensures that each paper meeting their rigorous criteria is published quickly and distributed widely. Led by Dr. Claudia Lupp, the editorial team consists of over 900 active researchers who review papers on their merit, validity, and technical and ethical soundness. All published papers are immediately and permanently available on both Heliyon.com and ScienceDirect.